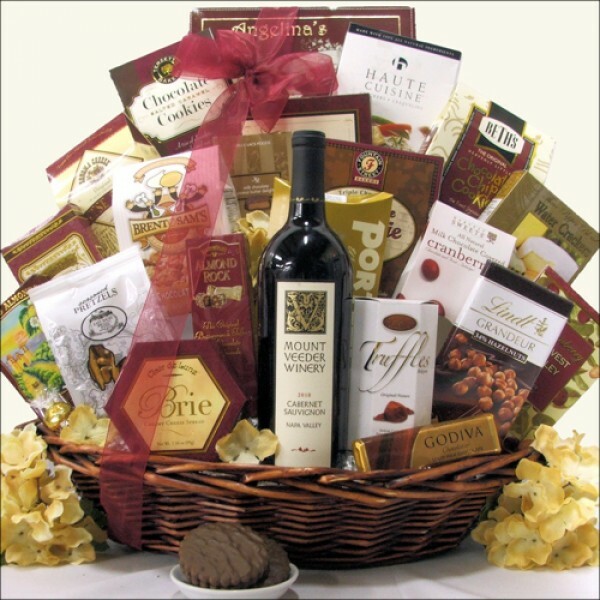 The red wine connoisseurs in your life are going to be thrilled to receive this distinctive wine and snacks gourmet gift basket. We have paired the acclaimed Mount Veeder Napa Valley Cabernet Sauvignon wine with a wonderful assortment of sweet and savory treats. Featuring Clair de Lune Brie Creamy Cheese Spread, Portlock Smoked Salmon, Cranberry Harvest Medley, Lindt White Chocolate Truffles and much more. The perfect choice to make a lasting impression.